REVIEW - Lost Within - Use a Potion! Over the past few years Amazon have been making their break in the games industry with the forming of their in house games development studio, the purchase of Double Helix Games and partnerships with studios such as WayForward and Human Head Studios. ‘Lost Within’ is the product of their partnership with Human Head Studios, a first person horror game available on the Kindle Fire and iOS. The game begins with you controlling Deputy Pearson, a police officer sent in to Weatherby Asylum to make last checks for any vagrants or squatters before its impending demolition. Of course, this is a horror game – things would never be simple. Deputy Pearson finds this out quite quickly as what started as a routine check turns into a fight for his life, evading the grotesque asylum inhabitants and malicious spirits along the way. Lost Within must be commended for its story. 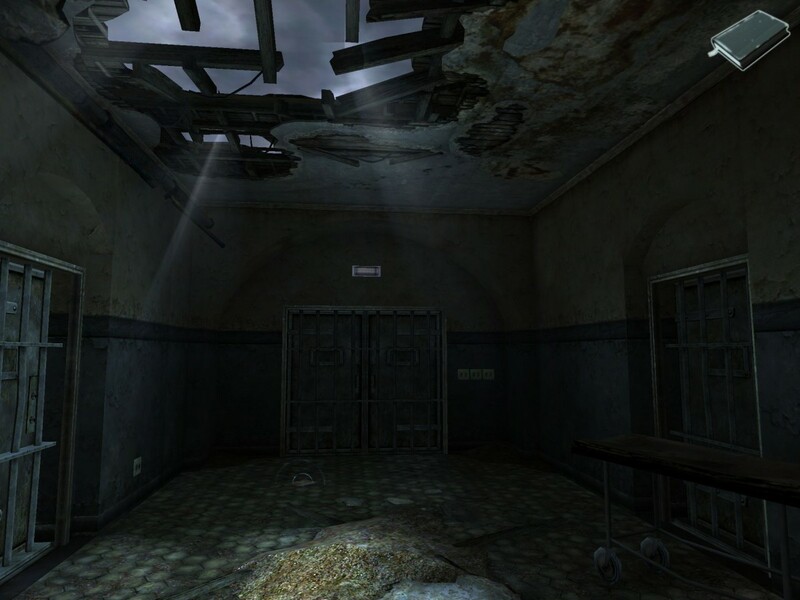 While it’s setting of a mental asylum has started to become well treaded territory in video games, the twists and turns the game throws at you will keep you constantly on your toes, culminating in one final twist that wraps the story up to an eerie end. 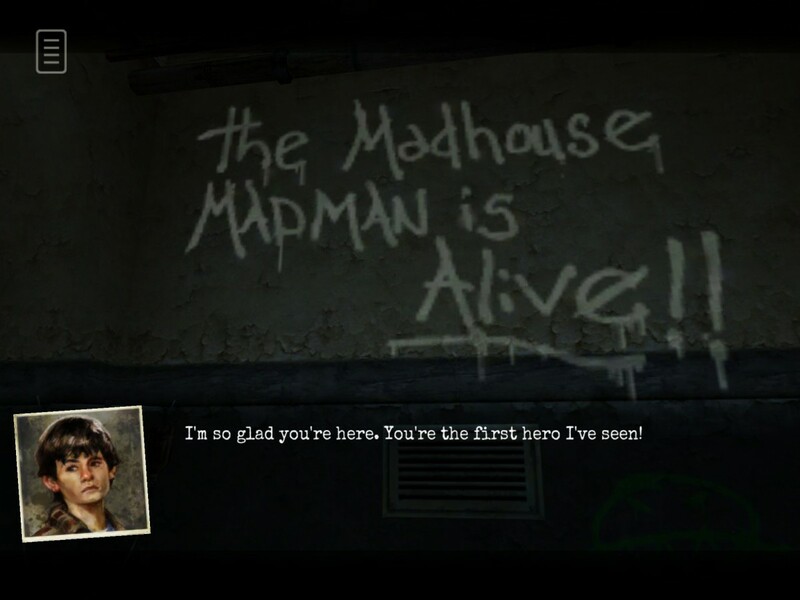 Each of the game’s three chapters takes part in different parts of the asylum, each offering a different antagonist that shows that sometimes the staff are just as insane as the inmates. Collectible letters, diary entries and newspaper cuttings fill you in with extra story details, each collectible giving you a bit more information about the ghastly going ons at Weatherby Asylum. It is a creepy game and there are moments which will cause you to jump – unfortunately though the frights can lull a bit as the game goes on with you finding yourself getting almost used to the scares, sometimes making them a little predictable. 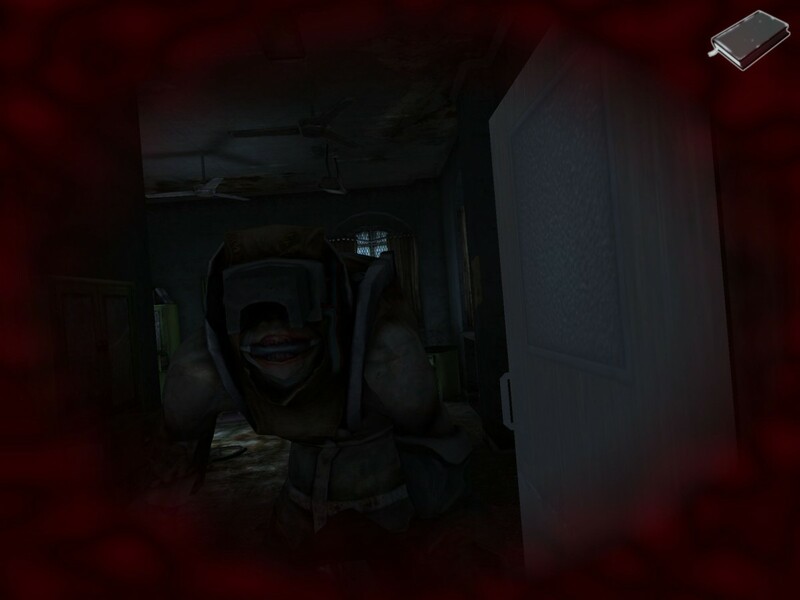 You’ll spend most of the game navigating the perilous hallways of the asylum, trying to sneak past enemies or hide from them when they are aware of you. It can be a very harrowing experience when an enemy is in pursuit – you’ll find yourself panicking and rushing to find the nearest locker to hide in for a brief respite. Of course this being a horror game and you won’t always manage to escape death but it’s a shame all that happens in the event of this is the game screen turning red – some disgusting death animation wouldn’t have been out of place, especially with the manner of any you are up against. The game does give you the option to try to take the battle to the enemies yourself though – there are many weapons and items hidden throughout the asylum, or crafted yourself using the game’s uncomplicated crafting system. It’s an enjoyable experience which tries to keep things varied and interesting with an assortment of enemies – however by the latter stages of the 4 to 5 hour playtime you do start to tire of the same sneak and hide formula, the game having shown you everything it has to offer in the earlier chapters. The controls of the game are simple yet effective, a tap on the screen guiding your character to that spot and a double tap making your character run. Interaction with the environment follows the same system, a tap opening doors or picking up objects. Everything works relatively well – there was only the occasional hiccup where the character might get stuck behind a door or get stuck on the way to the marker but nothing drastic that ruins the gameplay. The game’s graphics are simply fantastic. The derelict, murky halls of the abandoned asylum are beautifully crafted and at times will leave you astounded that this isn’t a console release. The lighting effects are stunning, the streams of light shining through windows and the broken ceilings of the asylum almost offering a sense of solace. Everything runs so smoothly and fluently, it’s a real credit to the developers of what they’ve achieved on mobile devices. The eerie story will keep you guessing, the tense gameplay will keep you on your toes and the stunning graphics will astound you – Lost Within is certainly not the most frightening horror game out there and doesn’t offer much variety from it’s sneak, run and hide gameplay but that doesn’t stop it being a great game. If this is the standard of game that Amazon Game Studios are going to produce it may not be too long before they are making real ripples within the games industry.